IRL, AFK – Aren’t those acronyms anachronistic? Anyway, I wanted to discuss something with her, opened my mouth to start talking, but stopped in my tracks, shut it again and returned to whatever I was doing. The episode had me thinking though. 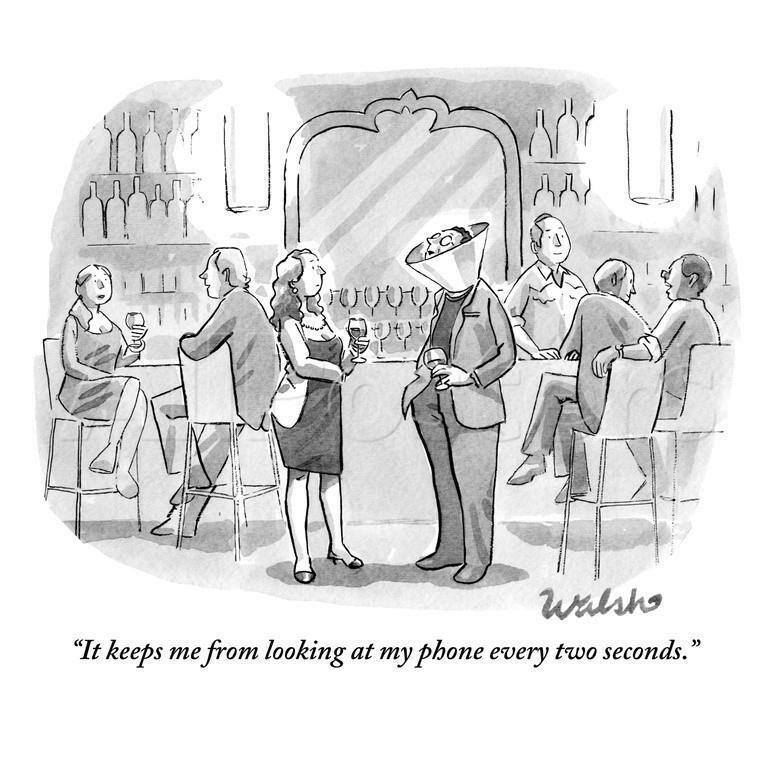 In our connected world of today, connected both technically and through umpteen online social networks, many of us get reprimanded for not “being present”, not listening or even for interrupting conversations to check our phones. (Guilty as charged.) In Real Life (IRL) is supposed to take precedence. Often I agree and try to impose a rule at home of “No phones within reach while we eat together”. In vain, I may add. So why did I choose to save that discussion for later? My wife was already engaged in conversation. But it was a written conversation, a chat in WhatsApp with our daughter, currently in France. I would have caused an interruption. That conversation was as “In Real Life” as a conversation in our house would have been. What is “Real Life” really? I’m sure that I’m not the only one who has come to better know and understand the thoughts, values and actions of some acquaintances via online social networks than I ever did before though our rare interactions live or via voice conversation on the phone. Their life is more real to me via Facebook, LinkedIn, Twitter, Instagram or WhatsApp than it has ever been before! Being a family where two daughters of three have moved out, the family group on WhatsApp is the first thing I check for updates in the morning. Just how real and alive is a relation with acquaintances who you meet in the street once every two years, exchange a couple of phrases of courtesy only to subsequently rush off to where you were going? Compared with the old friend who you haven’t met in ten years, but whose updates offer you ongoing insight into their life events and thoughts about what’s happening around them or around us all? So I don’t buy the IRL thing. The differentiator for me is rather about synchronous or asynchronous interaction and about keeping focus on what you do. My wife’s conversation with our daughter was as synchronous as our discussion in our living room would have been, although through a different medium. Interrupting their conversation would have been as impolite as talking over them in the same room. Also, some – or many, actually – of the things you write online should be written with great care, with focus and with a complete thought process before. When you’re in that mode, you’ll be as unhappy about somebody interrupting you as you would have been if sitting with a fountain pen, writing on paper. A broken chain of thought is broken in your mind, independent of which medium you use to document it. Still, checking your phone for asynchronous updates on online social networks, interrupting an ongoing, synchronous conversation is still as impolite, irrespective of the medium used for that conversation. The only difference is that it’s less obvious if it is a chat you happen to be engaged in. Still, we should be as present and in the moment together with the people we happen to be with. What we need to consider is how we define “happen to be with”. All in all: IRL is no longer a valid expression, since online is often as real and close as on-site. What about AFK (Away From Keyboard, that is)? Well, some time has passed since the device we carry in our pocket took the pole position as our primary screen. And when did you last use a phone with a keyboard? So what should it be instead? On Prem? In The Flesh? NoD (No Device)? Or what? Author TheSocialSwedePosted on March 27, 2015 March 27, 2015 Categories Behaviours and expressionsTags afk, communication, courtesy, english, irl, politeness1 Comment on IRL, AFK – Aren’t those acronyms anachronistic? As a parent, I’ll do it later seems to be an eternal and ubiquitous source of aggravation. Unfortunately at work too, sometimes. Rumours claim that it even may occur between spouses. Translation: I’ll do it when it suits me, not when it suits you, because my priorities are more important than yours.